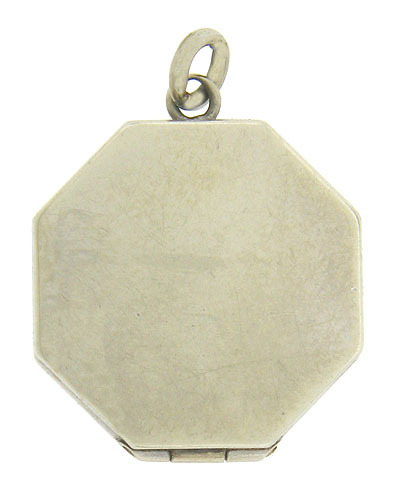 This elegant Art Deco locket is fashioned of 14K white gold and octagonal in shape. 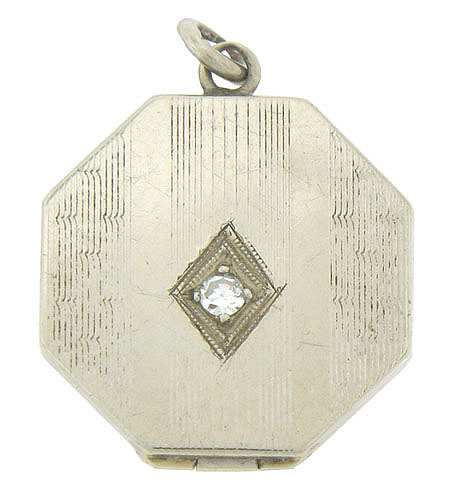 Engraved stripes adorn the surface of the antique locket. 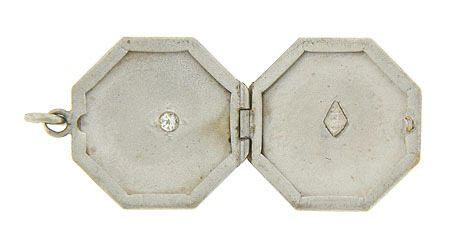 A dazzling round cut diamond is deep set into the center of the locket face. This handsome piece measures 3/4" square. Circa: 1920.